Hotels are terrific if you’re looking to stay somewhere with lots of facilities to keep you occupied after a day on the slopes, as well as have the cleaning and cooking taken care of for the week. 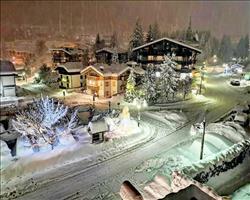 If you want a hotel in a central location, Alpen Hotel Vidi is in the centre of the resort and only about 4 minutes’ walk from the ski lift. 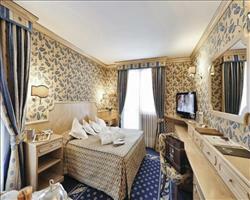 Savoia Palace is right in the pedestrian centre, ideal if you want to make the most of the shops and bars. 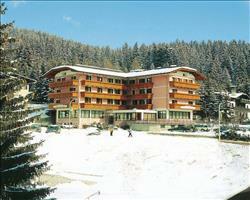 Another popular option is Hotel Christiana - just a short distance away from Pradalago and Spinale lifts. 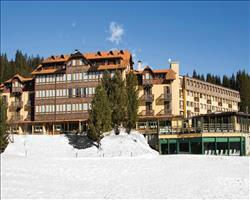 You can ski right back into some hotels which is great if you’d rather not be lugging your skis around all week. If you’re travelling with young children, check out hotels with childcare facilities. Some have kids clubs where the children can have fun and enjoy supervised activities, perfect if you want the freedom to explore the ski area. Book full board if you don’t want to worry about budgeting for food, this way it’s all paid for before you arrive. If you’re travelling in a large group, this is usually the easiest option as you won’t have to worry about finding places for everyone to eat throughout the week. Half board is a good option if you want to come back to an evening meal after a day on the slopes but still have the option to try out the local cafés and restaurants at lunch time. If you really want to explore what restaurants the resort has to offer (Il Gallo Cedrone and Chalet Fogajard are two good places to start!) a B&B is the one to go for. Our ski specialists have all the know-how of what makes a fantastic ski holiday, just call or enquire for friendly advice and assistance. 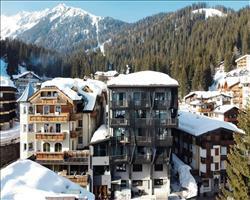 See all of our Italy ski hotels if you want to consider resorts beyond Madonna di Campiglio, or use our main Ski Hotels hub and its advanced filters to search thousands of properties worldwide.